Welcome to the North Carolina Wrestilng Hall of Fame! 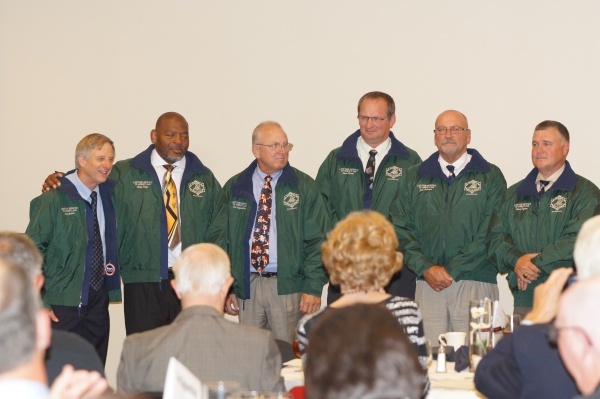 2014 Hall of Fame Inductees show of their green jackets for the first time! 2014 marked the 20th anniversary of the State Chapter program for the National Wrestling Hall of Fame. 188 outstanding individuals were honored in 28 states. Over 8,300 people attended these events nationally. The years since have seen the banquet continue to grow, and we are excited about the upcoming 2018 Banquet being planned for May. This year North Carolina’s banquet will be held in May (date TBA) at the William Friday Center in Chapel Hill. We invite you to bring a friend and come enjoy this exciting evening of fellowship and celebration of some of the greats of North Carolina Wrestling! 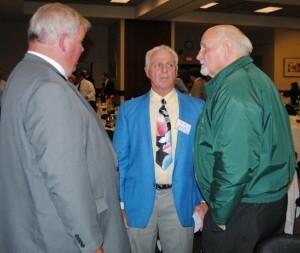 Wrestling greats Frank Rader, PJ Smith, and Rex Wells fellowship at the 2015 HOF Banquet. The Annual Banquet takes place each May in Chapel Hill. 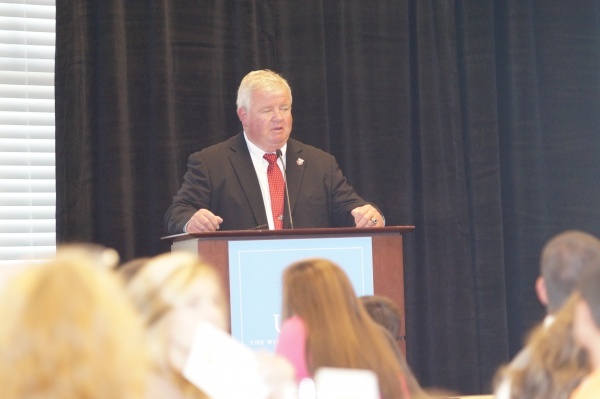 The North Carolina State Chapter of the National Wrestling Hall of Fame held its banquet on May 15 in Chapel Hill, North Carolina.